Yesterday, Channel 5 announced that the theme for the new series of Big Brother would be Big Brother: Power Trip. They later revealed a few tiny details about the new Big Brother House and what to expect. 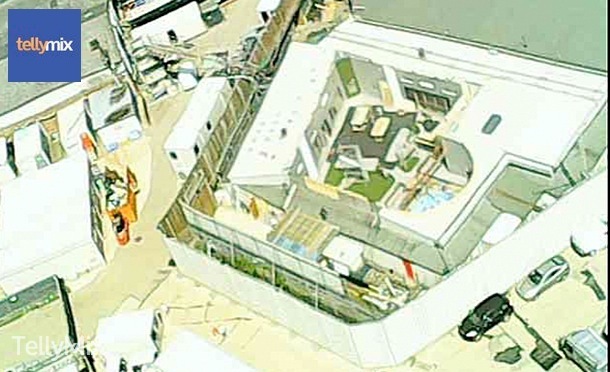 Tonight, TellyMix has posted these pictures of aerial shots of the new Big Brother House. The garden shape stays basically the same as what it was for Secrets and Lies, but the pool has moved into the space of the vegetable patch. There seems to be a new set of patio doors in the garden, that could perhaps lead into a new living space? Meanwhile the exterior hasn’t been touched since the final of Celebrity Big Brother in January, with the carpet on the stage and stairs still present and the red stand for the ex-Housemates to appear on finale night still present. 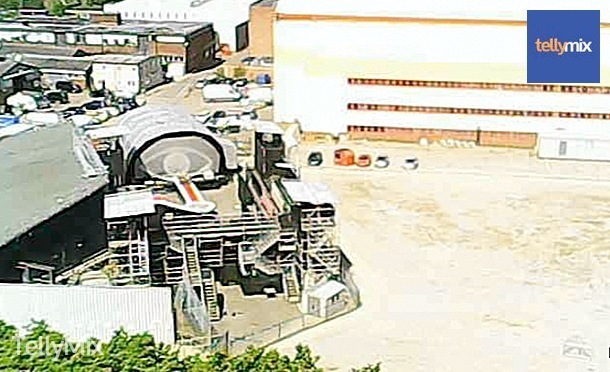 The House is based at Elstree Film and TV studios, where Big Brother has been produced since Big Brother 3 back in 2002. Endemol have recently renewed the rights to use the compound at Elstree Studios until at least 2018. Big Brother is set to return in June.